Â This table is extremely strong and great looking, Cool design. Outstanding price for size and quality. The dining table is a complimentary addition to our home. 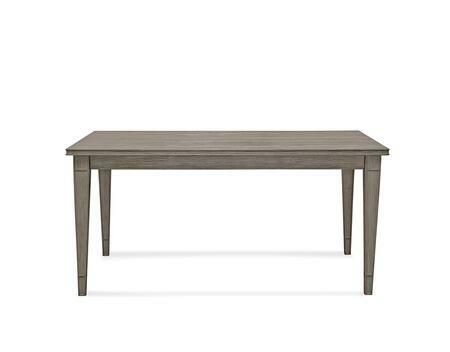 Â This table looks authentic, well-built and well sized. I highly recommend it. All I need to complete it is purchase the chair! Great quality too. It is beautiful with a modern/contemporary feel. It is substantial in size, solid, and it has character. It was exactly what I was looking for. Bellamy Dining Table with Storage Base from Bassett Mirror works great for us. Â Ended up ordering online this without knowing what to expect and was surprisingly pleased with the product. The quality is good and holds up against our active family. Â I used this table as an entryway table instead of a dining table. It was simple assembly and looks great. I get lots of compliments. Great color, size and shape. Easy to assemble. Very happy with my purchase. Â It wipes clean beautifully and looks great. It was the perfect size for the space I have, and matches chairs I already had. Easy assembly. Sturdy enough for our use.